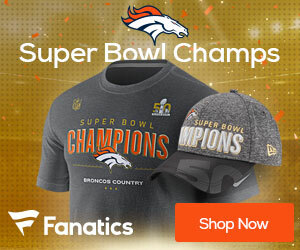 « Siemian Vs Lynch – Who Has the Upper Hand in the Broncos QB Battle? The Broncos rookies report on Monday and the vets on Thursday. So get your belts on as the season is nearing. Only a few days for the Camp, and 18 days for the first Preseason game on Aug. 10th. And only 51 days until the game on Monday Sept.11th to kick off the regular season against the L.A. Chargers (and that feels strange to type L.A. instead of SD). Oh, I am sure the Broncos will be inproved, especially on Offense and I hope Joseph doesnt let the QB battle go all the way through the preseason. Lynch is 2nd year QB and he or Chad Kelly, who probably wont play this year are the QB of the Broncos future. Sieman is a QB like Alex Smith, a game manager. And we dont want that for sure. So Lynch has it unless he gives it away with poor play in Camp and Preseason. And we could see the much better confidence he displayed in the huddle and on the field. He stayed much better in the pocket and doing his checkdowns. Just a lot of little things that he did better this year. And has athletic skill to tuck it down and run for a tall man. He is 6’7″ and can see the field much better than Sieman can. And the work he did with a QB guru in the offseason will pay off well too. And he has the benefit of a much improved OL, which wiil protect him better and provide a great running game too. Now, all that said, it may take a few regular season games before really taking a lot of load off the Defense, which will be be one of the best if not the best in the NFL in 2017. They will be a much better defense against the run this year, which will force teams to pass against the No Fly Zone. And I think the giveaway/ takeaway ratio will improve this year too. And they will have a much better improved Special Teams squad. And they have a tradition of getting an UDFA on the squad too. to 12 players for probably 6 spots. 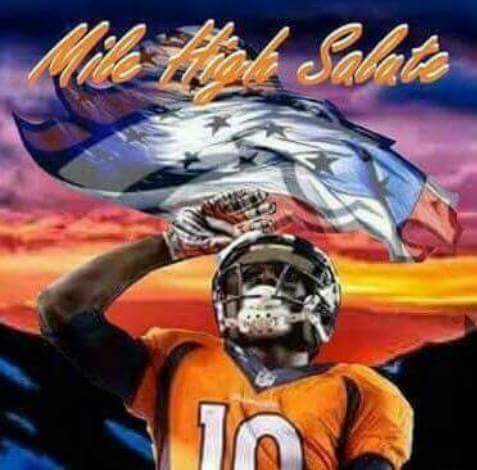 So, Broncos work really hard and smart and provide Broncos Country with a very good season!! !